The par-3 fourth is typical of the beautiful holes offered at Sugar Mill, one of Florida’s best courses. DAYTONA BEACH, Florida – It might be difficult to look at Daytona Beach as a golf destination but — without question — you should. Admittedly the self-proclaimed “World’s Most Famous Beach’’ is the main attraction in the Volusia County area. Or maybe it’s the Daytona International Speedway, the recently renovated world’s largest motor sports stadium and the site of the annual Daytona 500. 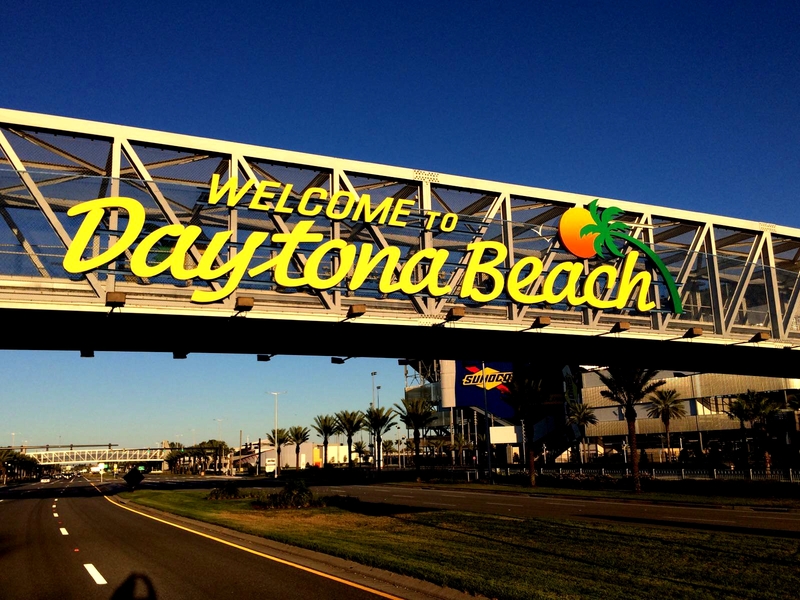 Golf, though, is very much a part of the Daytona scene as well. After all, it is the headquarters of the Ladies Professional Golf Association. LPGA International has two courses on its premises, the most prominent being the Jones Course – a Rees Jones creation that re-opened in September after a greens’ renovation during the summer months. The Jones and its companion Hills Course (an Arthur Hills design) will host the final stage of the LPGA Qualifying School from Nov. 27 to Dec. 3 and the Jones will be the site of the Symetra Tour Championship from Oct. 5-8, a season climax that includes pro-ams on the days both before and after the main event. Those upcoming events will create the highlight of the area’s 2017 golf season, but there are plenty of other playing options for visitors within a 20-mile radius. Our three-day, three-course visit was highlighted by a round at Sugar Mill Country Club, a Joe Lee design in New Smyrna Beach. Lee, who died in 2003, was a well-respected Florida-based architect who made a rare venture out of the South to design the Nos. 2, 3 and 4 courses at Cog Hill, in Lemont, Ill. The last of Lee’s courses at Cog Hill, better known as Dubsdread, was the long-time home of the PGA Tour’s Western Open. Sugar Mill doesn’t have the stature of Cog Hill or some of Lee’s other designs, but it is one of the very best courses in Florida, believe me, and it has the added benefit of offering 27 holes. Sugar Mill is a private club, so getting on the course might not be easy. Non-member tee times are frequently available in the summer months and occasionally available on weekdays during the winter, however. I’d recommend giving Sugar Mill a shot. If you’re successful getting on you’ll find it well worth the effort. Architect Ron Garl’s creative bunkering made Victoria Hills a most challenging layout. Another, very different, course is more readily available for play in New Smyrna Beach. 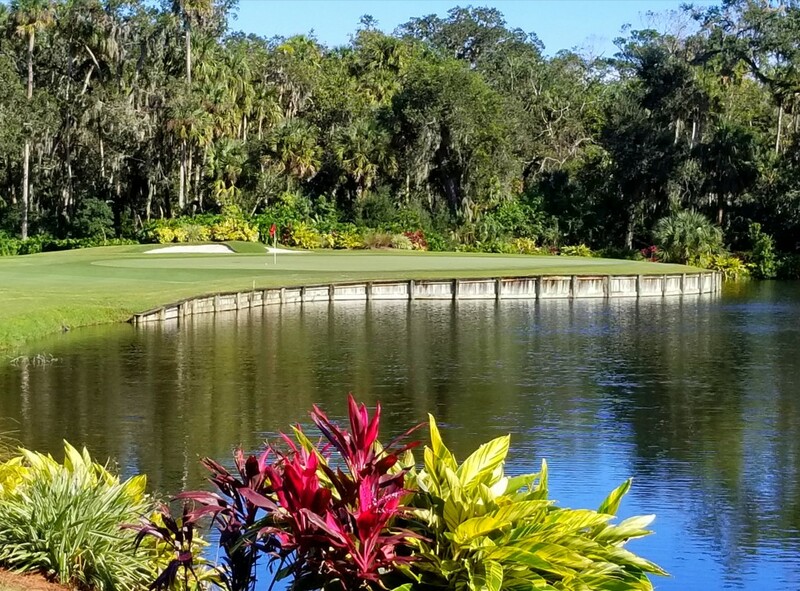 We’re big supporters of the Florida Historic Golf Trail, a collection of about 50 courses around the state that have been opened to the public for at least 50 consecutive years. You never know what you’re going to get when you test a Historic Trail layout, but you will get a good taste of golf history in the state that has the most courses – over 1,300 of them. We’ve tried about a dozen Historic Trail courses over the years and the New Smyrna Beach Golf Club is the second-best of the lot (trailing only El Campion, at Mission Inn Resort in Howey-in-the-Hills). Construction of the New Smyrna course was started by the Donald Ross and Associates architectural firm in 1949 but Ross wasn’t really involved. He died in 1951 and the 18 holes weren’t completed until 1956. The present version represents a Bobby Weed re-design and was completed in 2006. 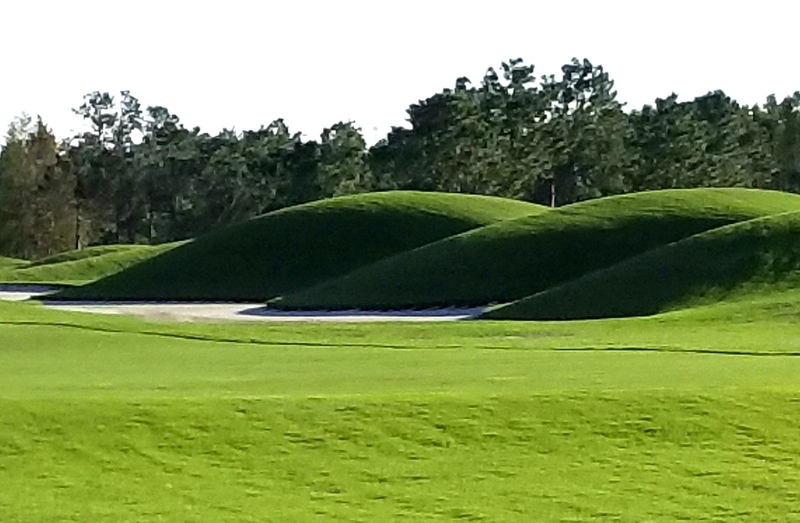 Mounds defined many of the fairways on the Jones Course at LPGA International. 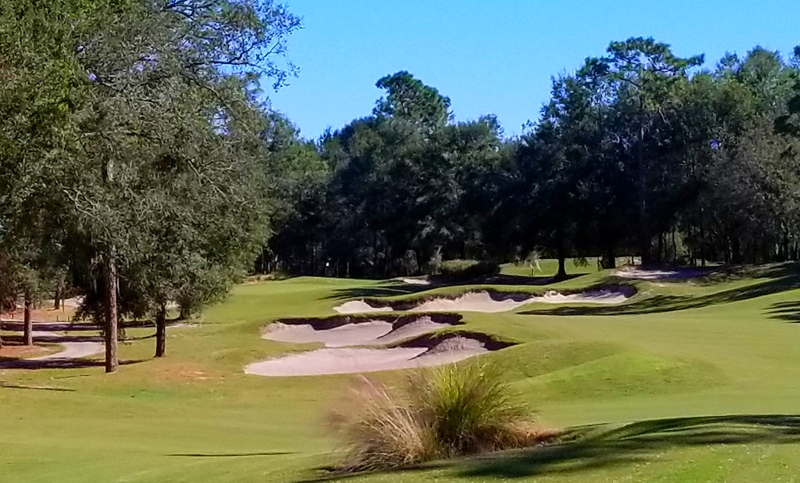 Our three-day tour of the Daytona area concluded with a round at Victoria Hills, in DeLand. The tour turned out a most-interesting one, in that we played three very different courses in three very different weather conditions and all three had their own charm. Victoria Hills, designed by prolific Florida architect Ron Garl, opened in 2000 and was the toughest of the three layouts. Garl created a challenging course around 104 big, deep bunkers and elevation changes that are most unusual for Florida courses. While LPGA International and Sugar Mill are located in well-established areas, Victoria Hills is in the heart of a construction boom. Houses are being built around the course and clubhouse upgrades are also in the works. When they’re completed Victoria Hills will become one of the most attractive golf options in Volusia County. 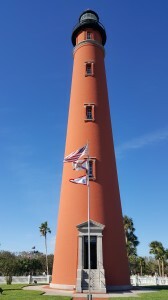 The Ponce de Leon Inlet Lighthouse, built in the 1880s, is one of many sites worth seeing in the Daytona Beach area. Others – particularly Cypress Head and Spruce Creek in Port Orange; Halifax Plantation in Ormond Beach; and Hidden Lakes, The Preserve at Turnbull Bay and Venetian Bay – all in New Smyrna Beach, also come with glowing recommendations. Spruce Creek is noteworthy, as it’s located in a secluded, fly-in gated community. In reality, the attractiveness of the golf in the Daytona Beach area is enhanced by the other offerings available. They work hand-in-hand in making this area of the world’s most popular golf/vacation destinations because there’s so much to do there. In July, for instance, the International Association of Golf Tour Operators – 13 industry leaders from Costa Rica to Australia – visited the area for their North American convention and didn’t just play golf. They also took spins around the Daytona International Speedway track, which has been active with a variety of events about 300 days a year since a $400 million 2 1/2 -year renovation project was completed in January of 2016. The Speedway isn’t just a tourist hot spot during Speed Week in February. Daily tours are also available and the facility’s museum reflects that sport’s rich history. It’s interesting, whether you’re an auto racing aficionado or not. Dining and lodging options abound and, if you want a quick stop to see something different, try out the Ponce de Leon Inlet Lighthouse. 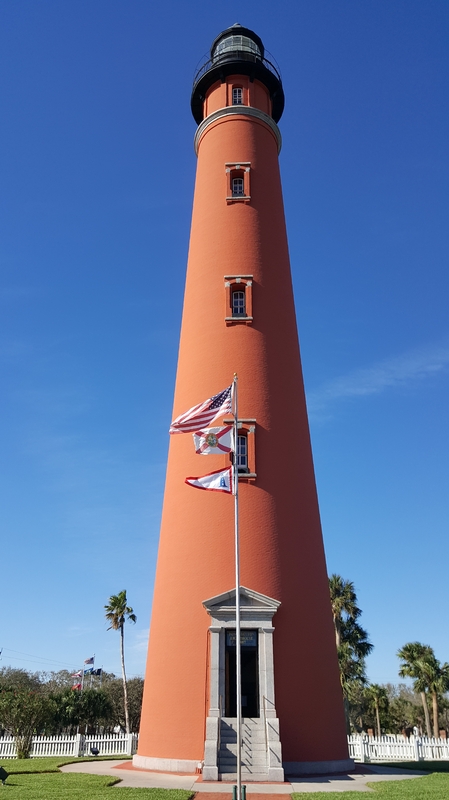 It’s 175 feet high – the second-highest lighthouse in Florida – and you can climb to the top of it or stay at ground level to check out some replica homes from the 1800s. 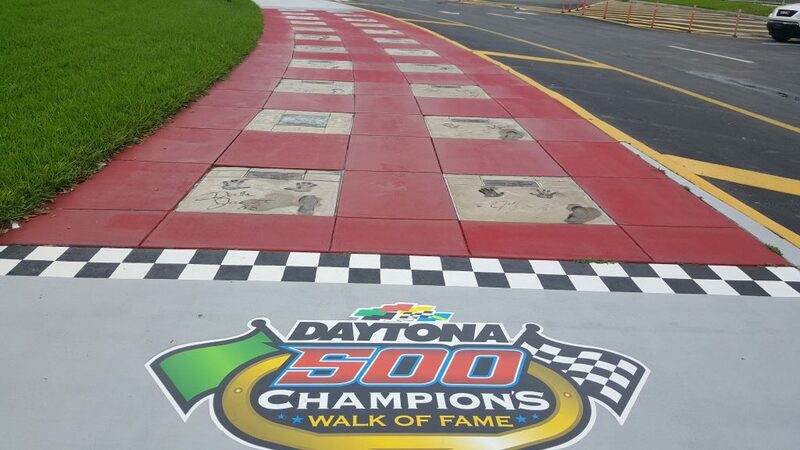 The Walk of Fame was just one of the highlights offered at the Daytona International Speedway.